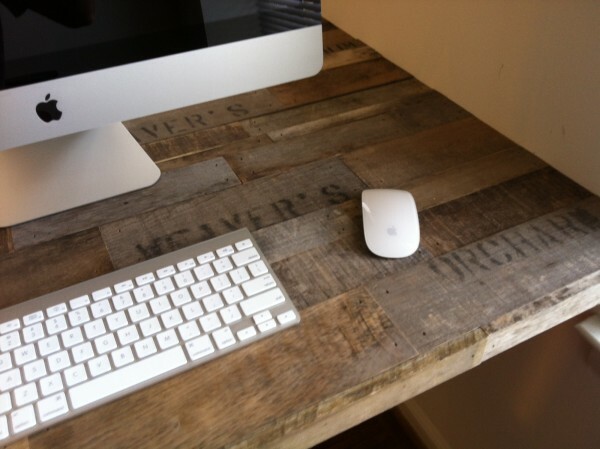 Ever since I began working with Weaver’s Orchard three years ago, it has been my dream to have a home office desk made from recycled apple crates. My husband’s design jobs have allowed him to design many awesome furniture projects for a variety of clients. 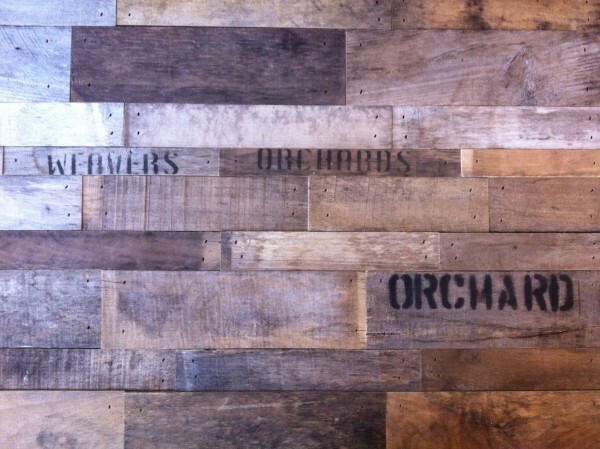 Many pieces featured apple crates, recycled pallets, and antique mason jars. We had a lot of those types of projects on our to-do list, and spending time on Pinterest certainly wasn’t shrinking that list. Finally, for my birthday last month, I received a sketch of my soon-to-be apple crate desk. Later that week my husband selected several 1/2 bushel size apple crates from Weaver’s Orchard, took the measurements, purchased the hardware and got to work. As promised, within a week my apple desk was a reality. There’s plenty of room for storage in the apple crates on the side of the desk for items like tall binders and stacks of paper reams. 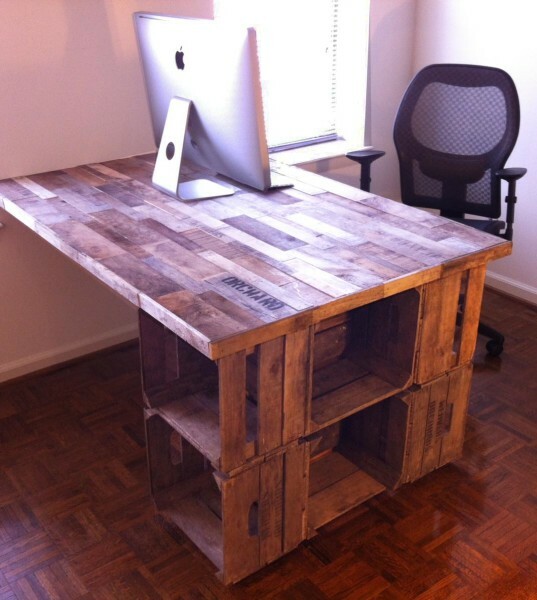 I love how the top is a butcher-block style surface that he made entirely out of recycled apple crates. 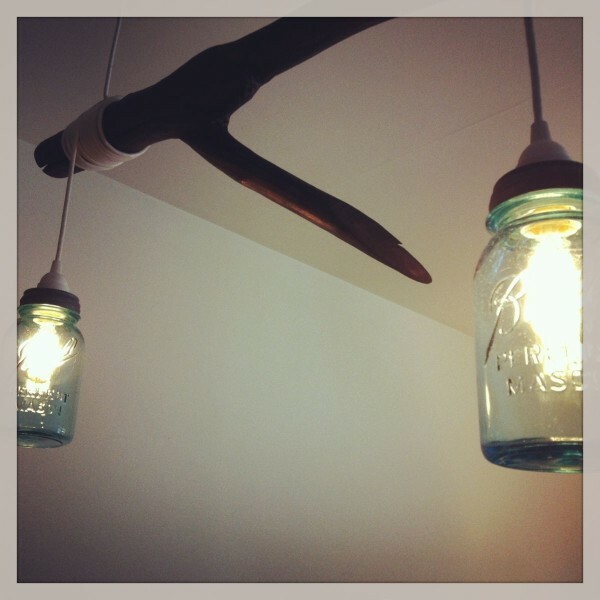 While we’ve been on a kick of making the re-purposed items on our to-do list, we also recently made the mason jar light fixture pictured. When I say “we,” I mean that I was just along for the hike to find the perfect piece of driftwood, an afternoon of browsing through the antique store and a few trips to the hardware store. He did all of the hard work and I just gave my opinion and offered a helping hand when I could. The best part of the having this new desk is that it was actually a desk built for two: now my husband is also joining me in doing freelance product and graphic design from our home office.